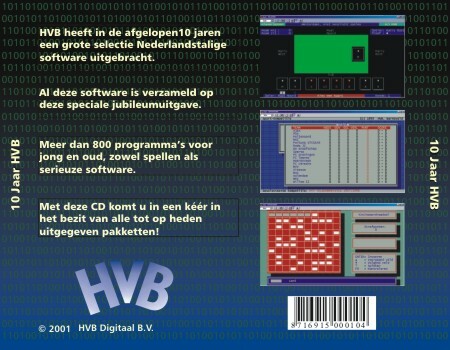 I would like to get in contact with "HVB Barneveld" or "HVB Software", who developed and published Dutch DOS games from 1990-1992. After trying for a couple of years without success, let's see the power of Twitter: please contact us! They're also known as HVB Digitaal B.V. I once saw on the Internet a resume from someone else than Henk van Beek who created games for HVB and it said the games had to work on every PC. This means only they could only use text mode based graphics and PC speaker sound effects. I found over 40 games of them on my dad's old floppies and would like to add them to playdosgames.com, but only if I have permission from the author.